Amar Singh after months of careful discussion between his supporters in Uttar Pradesh and having taken an extensive tour of the province has finally declared of the formation of Lok Manch which would be a non political entity to begin with and might later end up contesting elections in Uttar Pradesh. Having written a series of articles on Amar Singh from the time he fell sick, it is indeed interesting to follow the career of this much talked about politician. There are times I felt that he has been garrulous to an extent that doesn’t befits his stature of a prominent politician but then Amar Singh has always been like that. His intensive knowledge of Urdu poetry which he would quote at any given moment, his knowledge of the backward tribes of Uttar Pradesh and their special needs and his creativity within the political arena makes him a figure that can’t be forgotten or avoided. 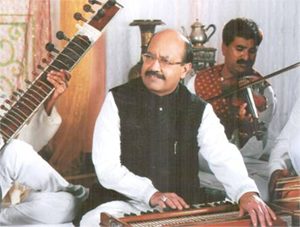 Former Samajwadi Party leader Amar Singh said that his newly formed Lok Manch was on the lines of the late V.P. Singh's Jan Morcha which the latter had formed after marching out of the Congress in the eighties. "My Lok Manch is a non-political forum on the lines of V.P. Singh's Jan Morcha, but I do not deny that this body will eventually merge into the sea of politics," Singh told media persons here Monday. Accompanied by his Bollywood entourage comprising Sanjay Dutt, Jaya Prada and Manoj Tiwari, he said: "I propose to launch a full scale movement with effect from December 1, for the creation of an independent state of Purvanchal to be carved out of the neglected backward Eastern Uttar Pradesh." I do check on his blog regularly and there are times I felt that his judgement on certain party seats went wrong. Mulayam Singh’s daughter in law lost her seat at the Ferozabad constituency. Abu Azmi, a close confidante of Amar Singh vacated his seat for his son Farhan Azmi. Farhan lost the election in spite of hectic campaigning done by Amar Singh immediately after he came back from a kidney transplant surgery. This clearly indicates that family hierarchy in the absence of intellectual strata does not go down well with people who are aware now and would obviously choose for the best. I had suggested it earlier to Amar Singh. But then my admiration goes for the way he has created a niche in politics in spite of being expelled from the Samajwadi party. I admire him for his excellent grasp on the English language which he studied under none other than the famous poet, Professor P. Lal at Presidency College, Kolkata. As I write about him, my outlook express shows that he has posted another blog. 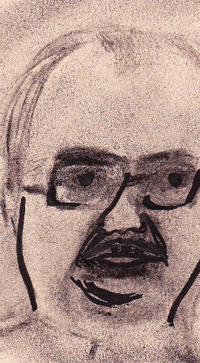 His closeness to Subroto Mukherjee another creative politician has been mentioned in his latest blog and his entry into politics after being elected as the Secretary of the Burra Bazar Congress Committee, Kolkata. The most surprising factor which he has revealed now is his being considered from the Bhind constituency during his days of closeness to Madhavrao Scindia. Being from Gwalior, I understand the politics of Bhind from where the journalist Udayan Sharma got elected. I had met Udayan a number of times during his visit to Gwalior during the eighties. Things would have been entirely different if he had succeeded in getting a ticket for Bhind and later winning it on a Congress I platform. I had written about Amar Singh’s tryst with films in these columns. He had acted in a number of Bangla and Hindi films. Creativity within politics is a taboo factor and creative impulses have always been pushed down ruthlessly. Be it Kunwar Natwar Singh or Jaswant Singh, the party never promoted lateral thinking or intellectual outbursts. Amar Singh acted in the first week of May in a Malayalam film titled, ‘Mumbai Mittai’ opposite Dimple Kapadia. The film was shot in Kerala. He plays the role of a classical singer. Earlier he had done a role in Devanand’s film, ‘Charge Sheet’. Somebody in South Africa asked me the reason that the Minister of Art and Culture doesn’t have any idea of Art or Culture and why shouldn’t an artist, poet, musician or a politician who has an in-depth of knowledge of such disciplines, shouldn’t be chosen as the Minister. I had no reply and I refrain to talk on South African politics. I remember in the seventies when Yamini Krishnamurti came to give a dance performance at the Jawaharlal Nehru University where I happened to be a frequent visitor. Stalwarts as Sitaram Yechury, Hemant Joshi and Purushottam Agarwal were there in the audience. The university was controlled by the Marxists. Somebody asked her, ‘What is the Marxist interpretation of your dance’. Pop came the answer, ‘I think politicians too can dance’.